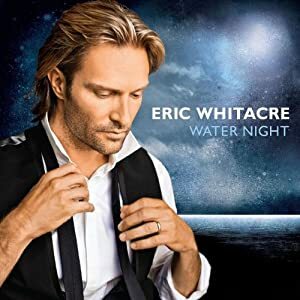 Straight out of the gate, Eric Whitacre’s newest Decca recording, Water Night, has debuted at #1 on Billboard’s Classical Traditional chart. Water Night is the composer and conductor’s second album on the label, which was released on April 3, 2012. With no fewer than seven world premiere recordings, Water Night features the Eric Whitacre Singers, London Symphony Orchestra, Hila Plitmann and cellist Julian Lloyd Webber. Water Night follows Light & Gold, Whitacre’s GRAMMY-winning Decca debut which was one of the highest performing new classical releases for 2011, spending 70 weeks on the Billboard Classical Chart. Whitacre was recently profiled on both ABC World Newsand NBC Nightly News. In 2011 Whitacre was also featured on Good Morning America, CNN, NPR, and Opera News among countless other outlets. Virtual Choir 3, Water Night is the latest in Whitacre’s projects bringing the world together in song. As covered by Billboard the choir was unveiled on April 2nd at an exclusive event held at Lincoln Center attended by fans, choir members and industry executives alike. With a record breaking total of over 3700 videos from nearly 3000 people in 73 countries, Virtual Choir 3 is the largest online choir ever assembled (surpassing Virtual Choir 2.0 in 2011).